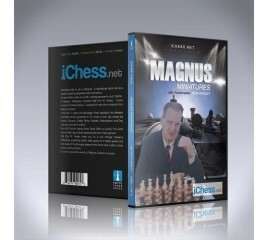 In Magnus’ Miniatures, American GM Ron W. Henley – the former second of Anatoly Karpov – analyzes 64 instructive miniatures from the reigning Chess World Champion Magnus Carlsen. But what do we really know about Fabiano Caruana? In this course, GM Ron W. Henley retraces Caruana’s career, extracting powerful lessons from his best games and combinations, revealing how he went from amateur to World Championship challenger in just a few years. 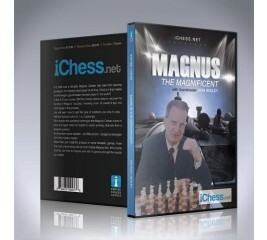 In this 2.5 hour course, GM Ron Henley delves deep to uncover the secrets of Magnus’ success, revealing a ton of powerful tips and techniques in the process. 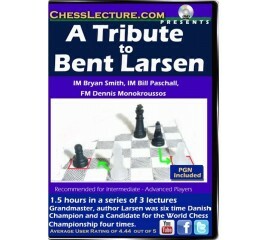 Jørgen Bent Larsen (1935 – 2010) was a Danish chess GrandMaster and author. Larsen was known for his imaginative and unorthodox style of play, and he was the first Western player to pose a serious challenge to the Soviet Union's dominance in chess. He is considered to be the strongest player born in Denmark and the strongest from Scandinavia until the recent rise of Magus Carlsen. 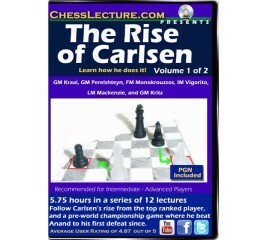 In this DVD you can follow Carlsen’s rise as he became the world champion through many games with his fellow top ranked grandmasters. 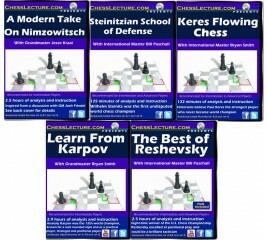 You'll hear the expert analysis of the ChessLecture masters as they expose Carlsen’s methods, give you feedback on how he gets the edge against his stellar field of opponents and show you how he breaks with some current chess theory. 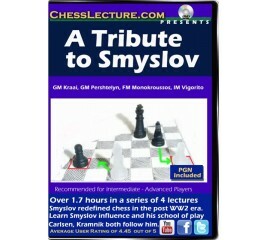 Vasily Smyslov was a Soviet and Russian grandmaster, and was World Chess Champion from 1957 to 1958. 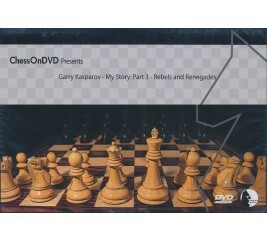 He redefined chess post WW2. He was a candidate for the World Chess on eight occasions. Smyslov twice tied for first at the Soviet Championship (1949, 1955), and his total of 17 Chess Olympiad medals won is an all-time record. In five European Team Championships, Smyslov won ten gold medals. He is known for his fantastic endgames, very dynamic sense over the board and intuitive sense of harmony. Modern champions that follow his style are Carlsen and Kramnik. 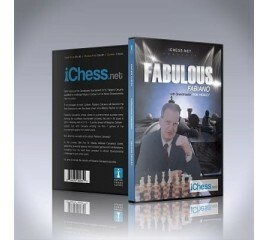 Here the masters of ChessLecture review his brilliance and style in a series of stunning games. 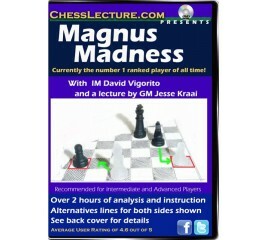 IM David Vigorito & GM Jesse Kraii analysis game by game of one of the best tournament results in the history of chess. Carlsen eclipsed a stellar field consisting of Topalov, Peter Leki, Dmitry Jakovenko, Teimour Radiaboy and Wang Yue to win clear first prize with 8/10 at the category XXI Pearl Spring Chess Tournament in 2009. 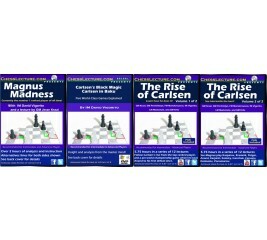 Magnus Carlsen is considered to be the top ranking chess player of all time to date. Currently the Number #1 Ranked Player of All Time! An all-star cast shines in this heartwarming story of one family’s journey of understanding. Joe Mantegna stars as Fred Waitzkin, a sportswriter who dreams his 7-year-old son, Josh (Max Pomeranc), will grow up to play baseball. One day in the park with his mother (Joan Allen), Josh displays more than talent – he has a gift. Sensing his son is a future champion, Fred places Josh under the tutelage of a strict chess teacher (Oscar ® winner Ben Kingsley). But when Josh suddenly starts to lose, his parents must confront their own motivations, and recognize what Josh prices more than winning: his family’s love. 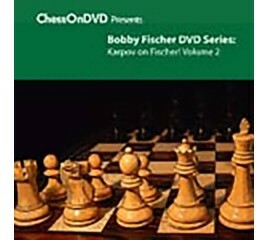 Costarring Laura Linney and William H. Macy, Searching for Bobby Fischer is a movie “not only to enjoy but to cherish” (Kenneth Turan, Los Angeles Times). A close look at Garry Kasparov's career reveals a remarkable amount of sheer brinkmanship. 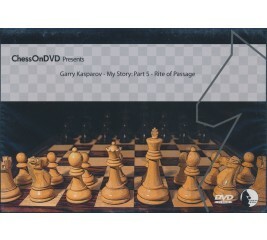 At a time when the Soviet Union was wired with paranoia and run by invisible connections, the winds of political change were beginning to stir and the brash renegade Kasparov would be in the right place at the right time to capitalize on the new climate. By the age of 12 Garry was the Junior Champion of the mighty USSR, the youngest ever. Back then fashion bowed to the immaculate safety-first style of the reigning titan Anatoly Karpov. Along came young Kasparov, raging onto the scene and riding some new contraption called glasnost. Many chess books teach the Lucena and Philidor endgames - but most rook endgames start in much more complicated positions. 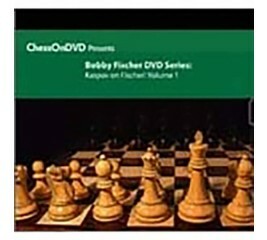 The objective of this series is to show you what to do in the earlier stages, when things are more complex and you may not even be sure who is winning. One of the key ingredients is obtaining active play for your Rooks, King and Pawns if you can safely do so. 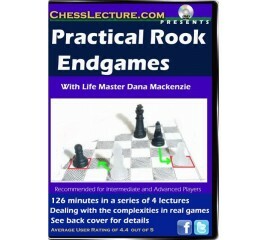 Here are real life lessons over the board with examples from Dana’s own games.Content: 126 minutes of instruction and analysis in a series of 4 lectures. On the eve of the most important game he would ever play, Garry Kasparov sought the advice of legends Botvinnik and Tal. If Kasparov succeeded, he would take Tal's place as the youngest World Champion in history.